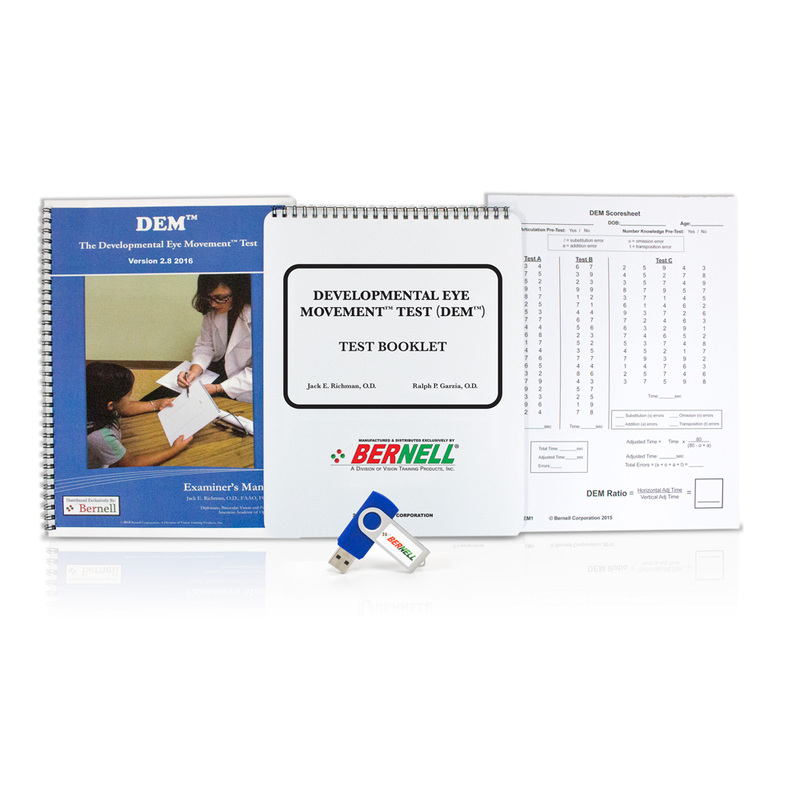 Bernell's exclusive DEM™ test provides an objective method of assessing fixational and saccadic activity during reading and non-reading tasks. The Developmental Eye Movement Test incorporates a sub-test of number calling in a vertical array which provides the means to evaluate oculomotor function with numbers in a horizontal array. The DEM™ was developed by Dr. Jack Richman, OD and Dr. Ralph Garzia, OD. Test comes with a Manual (2nd Edition) which includes instructions as well as 60+ pages of tables of standards based on age and grade level. Some case histories and clinical treatment considerations are also presented. Also included is scoring software which displays the comparisons to standardized scores as shown in the 60+ pages of tables. The software saves time and prevents errors in reading the many tables. Please note: the software is only compatible with Windows and is not supported on Mac. 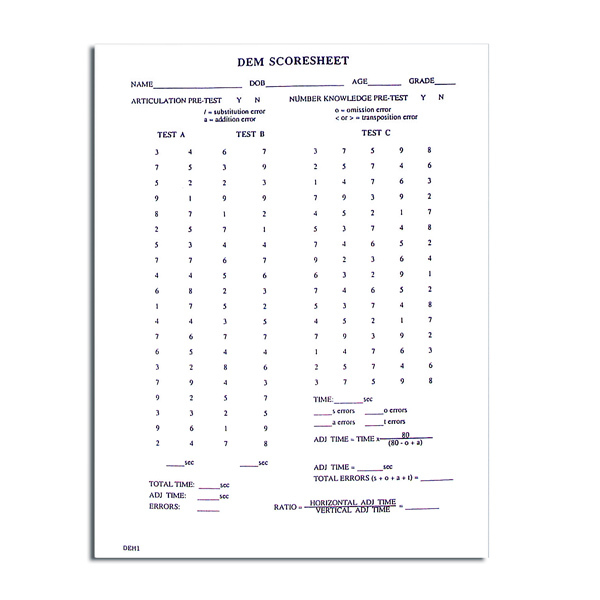 Click here to download DEM Scoresheet Instructions. 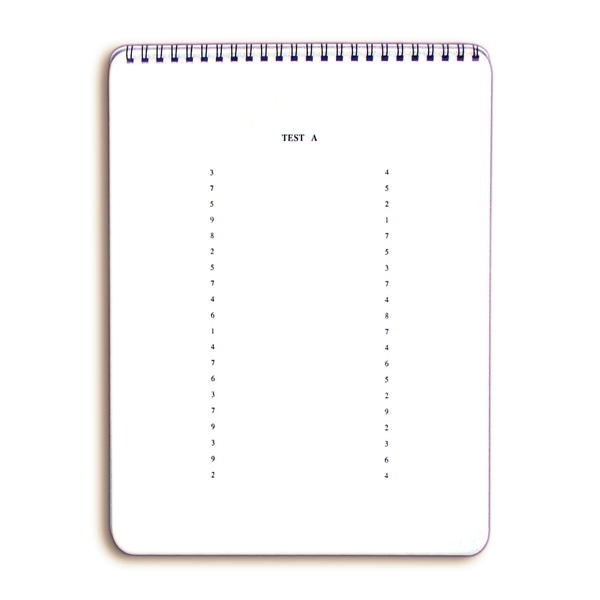 A pad of 25 evaluation sheets also comes with the test. Additional scoring sheets may be purchased. Additional note: There was a repeating error in the 2015 scoring software that caused it to list the H/V ratios for grade levels as the same percentiles. This has been corrected, as well as some other tweaks to the software to improve the layout. 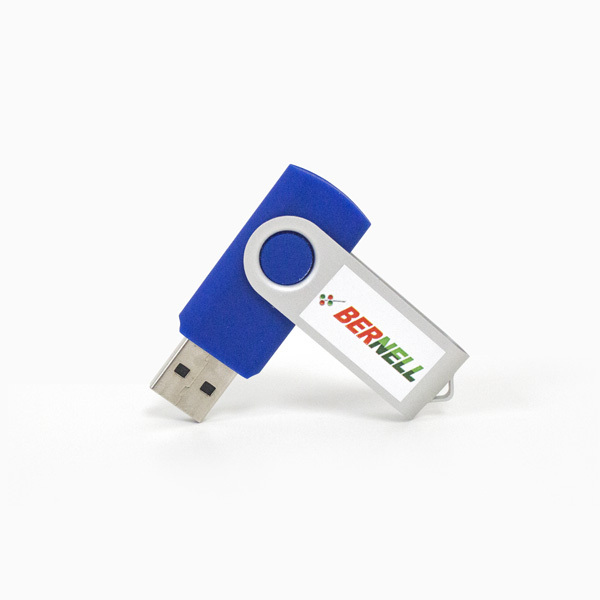 If you purchased a DEM after November 1st, 2015 or purchased the scorer software alone, please contact info@bernell.com to get a link to download the new software update. Click here to watch the DEM Calculator App in action. New Mobile Scoring Software available through Google Play or iTunes App Store. If you are interested in having a DEM scoring software available on your phone or tablet, Bernell has partnered with MakeMind, a developer in Australia, to release a new scoring app for the DEM known as the DEM Calculator. This app is available for purchase through iTunes App Store or the Goggle Play Store. Please click on the buttons below to learn more about the app. Garzia RP, Richman JE, Nicholson SB, Gaines CS. 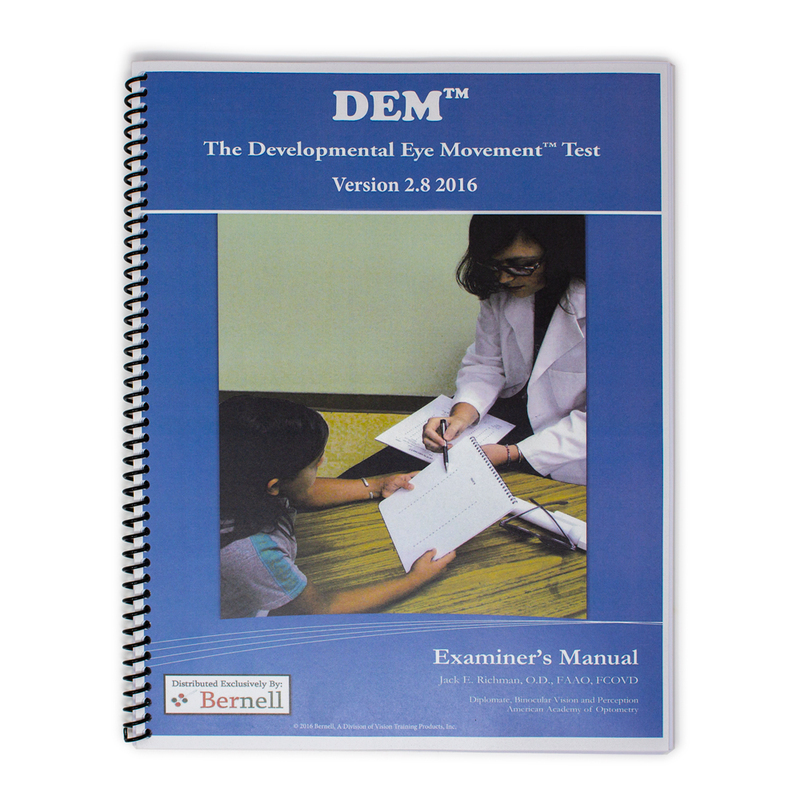 "A new visualverbal saccade test: the development eye movement test (DEM)." Garzia RP, Richman JE, Walker AJ. "The impact of automatic digit naming ability on a clinical test of eye movement functioning." Journal ofOptometry Association. 19983 Jul;54(7): 617-22. Kapoor N, Ciuffreda KJ. "Assessment of neuro-optometric rehabilitation using the Developmental Eye Movement (DEM) test in adults with acquired brain injury." Journal of Optometry. 2017 Jul; S188-4296(17)30040-7. Kulp MT, Schmidt PP. "The relation of clinical saccadic eye movement testing to reading in kindergartners and first graders." Optometry Vision Science. 1997 Jan;74(1):37-42. Kulp MT, Schmidt PP. "Relationship between visual skills and performance on saccadic eye movement testing." Optometry Vision Science. 1998 Apr; 7 5 ( 4): 284-7. Xie Y, Shi C, Tong M, Zhang M, Li T, Xu Y, Guo X, Hong Q, Chi X. "Developmental Eye Movement (DEM) Test Norms for Mandarin Chinese-Speaking Chinese Children." Public Library of Science. 2016 Feb; 26881754.